Horace Dediu over at Asymco has an interesting post today about IBM’s Digital Analytics Benchmark on US Black Friday sales, particularly the traffic generated by the mobile sector. With regards to tablets, the iPad is absolutely dominating it’s class, which is not a real surprise and not worth talking about. But when you consider phones, where US Android sales are up in absolute terms over the iPhone, the survey reports that it is the iPhone that is being used far more for online shopping. Horace goes on the review previous years and this trend is actually increasing — the proportion of iPhone usage to Android usage has increased from 2-to-1 in 2010 to 3-to-1 this year. So the question is this, if the numbers of Android phones out there are increasing, why is their usage seemingly falling? This engagement issue is an important one for app developers because we need to know where to concentrate our scarce development time and dollars. If a platform has limited coverage or a poor usage profile, then we don’t really want to put any effort into it. This study of online shopping is interesting because it involves a core function of web browsing, a major tenant of a smartphone. Dediu didn’t really offer any reasons for the disparity, other than to point out that because the installed base of each type of phone is so large then differences in demographics probably are not be a factor, but I can suggest a few reasons. It would appear that Android users don’t realize that they have a web browser in their pocket. Maybe they purchased an Android phone when their contract was up and because smartphones are what the carriers push then that is what they buy. But in the process they are never sold on what a smartphone is and can do. They just want to call and text people, and seeing the latest weather forecast flash by on the screen is a piece of superficial smartness. There are a lot of old devices out there, and with the very spotty history of operating systems upgrades there are a lot of Android devices running “very old” (in web years) versions. Those older versions had a very poor browser, making surfing the web an unpleasant experience; who wants to suffer through that in the heat of the battle on Black Friday? In contrast, Apple offers upgrades for a very large proportion of their devices (is there any-one still using a iPhone or iPhone 3G?) and users do upgrade, so they have the support for the latest web technology. The iPhone UI is often criticized for being simple — a basic grid of icons spread across several side-scrollable pages, whereas Android has a more complex model of widgets, home pages and app drawers all arguing for our attention. There is just a lot more going on with the Android UI and I think people get overwhelmed by that complexity, so they learn a couple of things and give up on the rest. Complexity is one of the most difficult for we IT professionals to comprehend. We spend our lives using computing devices and have no fear of them, we use 4 key combinations to perform personalized actions, we remember rafts of options to bizarrely named command line operations, we intuitively soak up new user interfaces, but I’ve seen users stumped at pressing a button when there are only three choices on the screen. We regularly over-estimate what is complex and what is simple. The seemingly shrinking engagement of Android users is troubling for app developers looking to target that market. People are not being tempted to use the browser, a function that is front and center of a smartphone’s existence. They are not motivated to shop, via phone, on Black Friday — the very peak of US shopping tradition. Google is intently interested in steering people to the browser and their cash engines of search and advertising. But if web surfing is failing to gain traction, if people are not using their smartphones as smartphones, then what chance does an independent app have of succeeding? I didn’t intend to kick off this blog with a hefty four part series on a deep iOS topic, but it is fresh in my mind and in the recent implementation of this functionality I encountered several interesting topics that are not well covered elsewhere on the web. 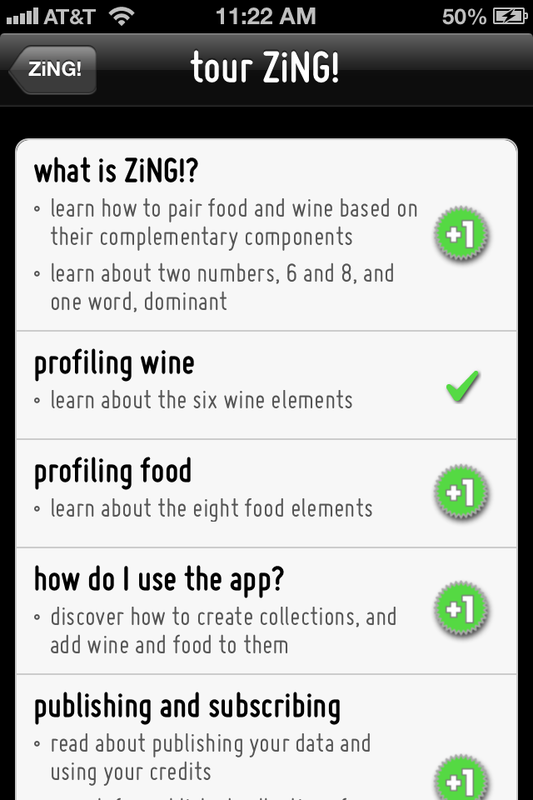 The headline feature in the latest version of my app1 is a tour – a set of pages that describe the underlying concepts of ZiNG! 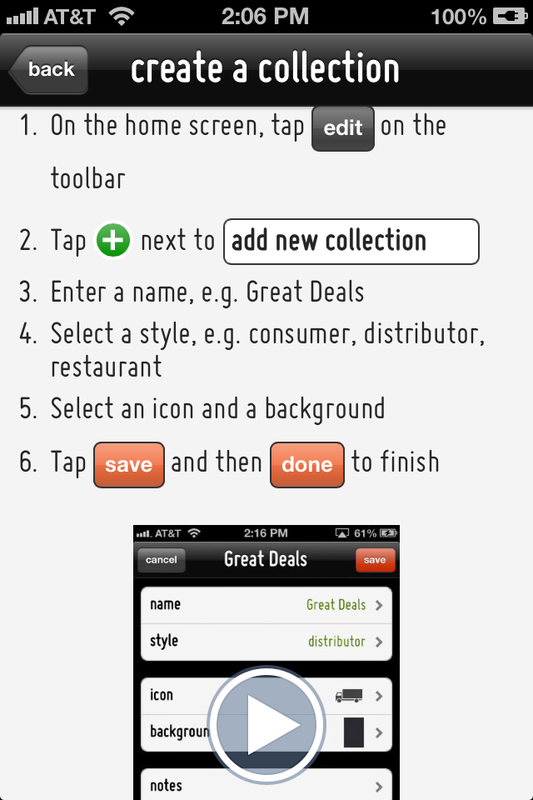 and how to use the app. These pages are a set of HTML documents presented in a UIWebView, and for the actual help I decided to supplement those pages with screencasts. I use videos on an external support center site so it was nice to get double duty out of them. Incidentally, I create the videos with the Reflection app that uses AirPlay to mirror a device’s screen to a desktop. The app has a built in recorder to capture whatever you do on the device. Taste ZiNG! is a universal app with slightly different UIs on the iPhone and iPad, which means that any screencasts will vary from device to device. I did not want to embed the videos in the app because that would have bloated the download significantly and I wanted the capability to modify the videos. That meant that I needed, at run-time, to dynamically determine which video to show in which situation, based on device, app version and tour page, and to splice that specific video into the HTML. Therefore each HTML document contains just the basic text and I inject the appropriate video tags when the page loads. The HTML documents are shipped with the app so that the tour still has content even if the user is offline. The UIWebView control supports HTML5’s video tag and because this is an iOS device I only need to be concerned with MP4 video. So now I can dynamically determine which video to show for a particular tour topic, inject that video URL into a HTML document and let iOS handle the video playback. So why in the age of microblogging, am I creating a blog? Aren’t those so passé these days? Well maybe, but I believe there is still a lot of life left in the long form. One hundred and forty characters is great for a witty observation or quick retort, but to build a cogent argument and defend it, the larger medium is necessary. So I going to use this blog to develop larger ideas, to do a little bit of self-promotion, and to give back to the development community. I have read countless articles in the quest of solving some problem, but I have never had the capability of returning the favor until now. It is unlikely that I’ll be blogging on some of the technology I used to use because I have now moved on to different pastures, but there will still plenty to talk about, and I have a few new tricks up my sleeve. The tech industry is nothing if not constantly changing. I think the military has the term “target rich environment”. So thank-you for popping in, and I hope you return soon.